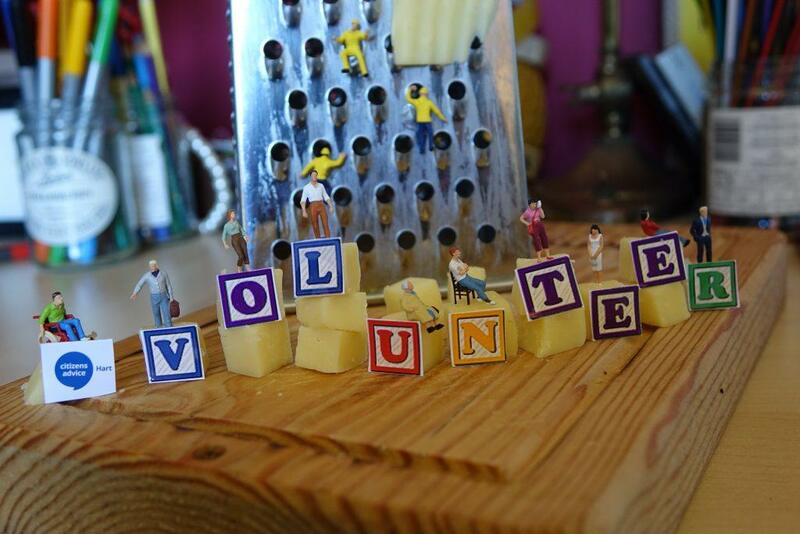 Citizens Advice Hart (or CAB Hart) is an independent charity that is part of the national Citizens Advice network across England and Wales. 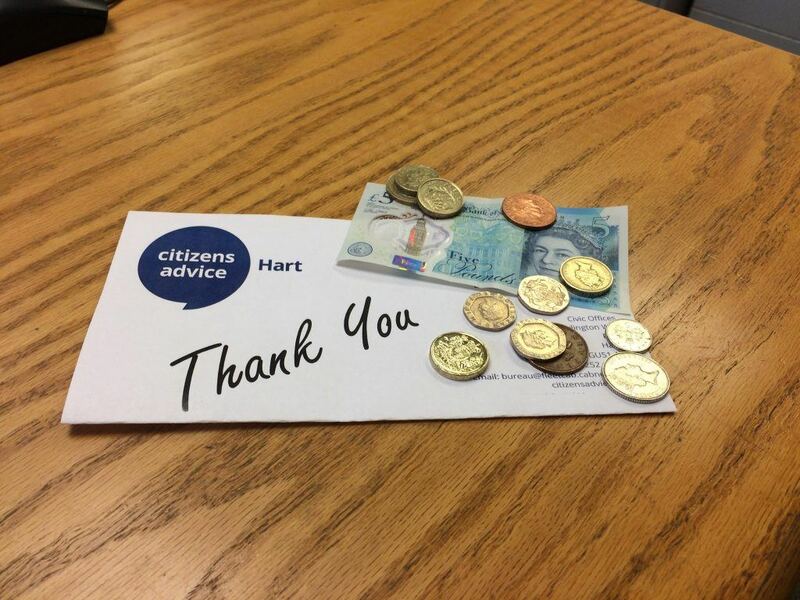 With offices in Fleet and Yateley, CAB Hart aims to provide confidential, free advice to local residents and help them find solutions to problems that may be too large a burden for them to bear alone, including debt, employment and disability benefits. 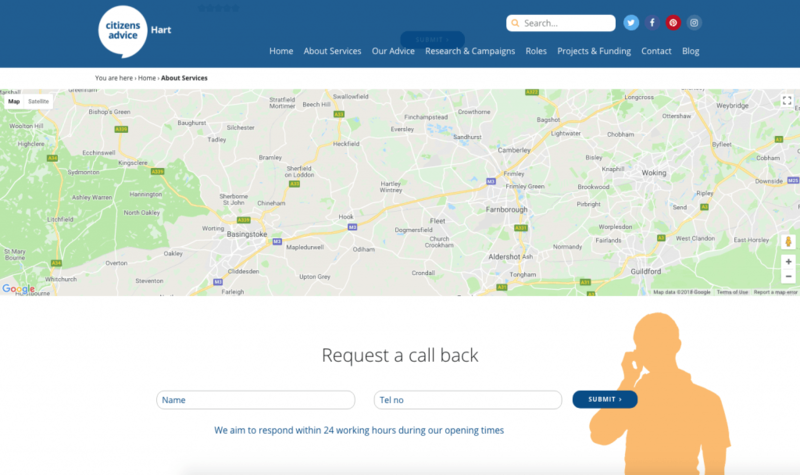 Citizens Advice Hart needed to modernise their site and make it more accessible to their target audience, meaning mobile responsiveness, readability, and ease of navigation were a must! Design-wise, the new website needed to appear professional and approachable, but also had to adhere to certain guidelines (branding and other) set by the overarching Citizens Advice organisation. Since one of CAB Hart’s main purposes is to inform and assist the public, we made sure that clarity was a focus of ours, as well as ensuring that their contact information was clearly visible and easily found. We also included a callback contact form to maximise approachability. Important information – including maps, the latest news, events, and job vacancies – is easily viewable from the home page. Accessibility has been prioritised, with a focus on website copy being easy to read and user journeys being as quick and simple as possible. Overall, the site is responsive, professional in appearance and function, and adheres to all the central design guidelines laid out by Citizens Advice, just as the brief required.